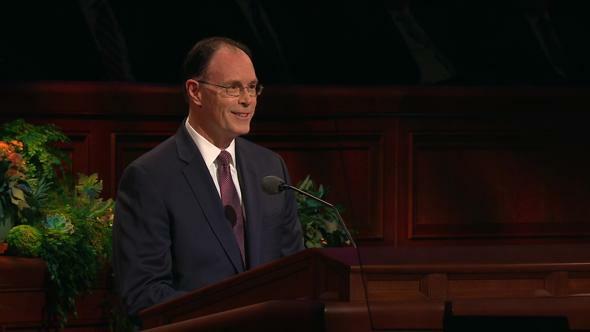 Our prayer today is that every man and woman will leave this general conference more deeply committed to heartfelt care for one another. 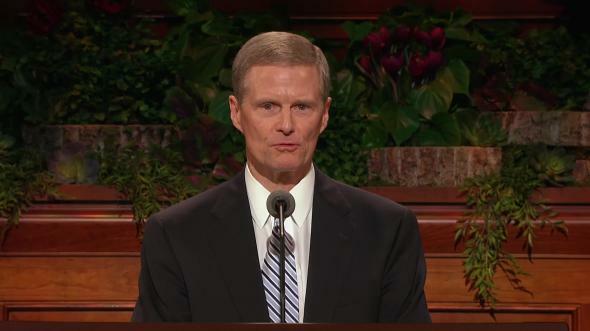 To paraphrase Ralph Waldo Emerson, the most memorable moments in life are those in which we feel the rush of revelation.1 President Nelson, I don’t know how many more “rushes” we can handle this weekend. Some of us have weak hearts. But as I think about it, you can take care of that too. What a prophet! We will continue to visit homes as possible, but local circumstances such as large numbers, long distances, personal safety, and other challenging conditions may preclude a visit to every home every month. 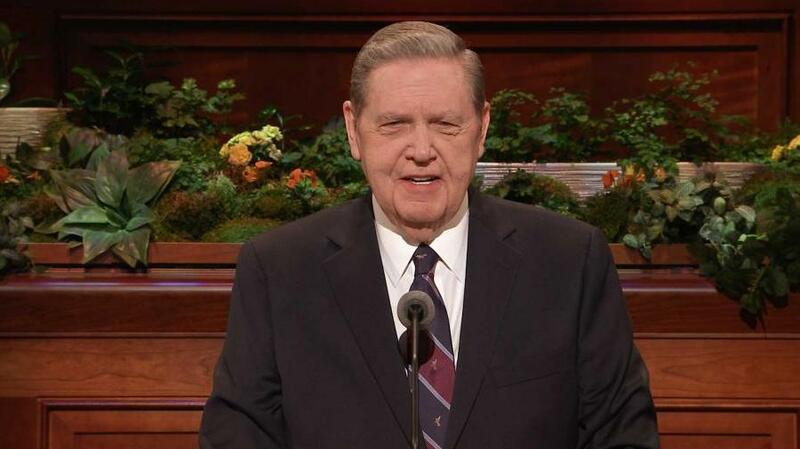 As the First Presidency counseled years ago, do the best you can.7 In addition to whatever schedule you establish for actual visits, that calendar can be supplemented with telephone calls, written notes, texts, emails, video chats, conversations at Church meetings, shared service projects, social activities, and a host of possibilities in the world of social media. However, I should stress that this expansive new view does not include the sorry statement I recently saw on an automobile bumper sticker. It read, “If I honk, you’ve been home taught.” Please, please, brethren (the sisters would never be guilty of that—I speak to the brethren of the Church), with these adjustments we want more care and concern, not less. With this newer, more gospel-based concept of ministering, I feel you starting to panic about what counts on the report. Well, relax, because there isn’t any report—at least not the 31st-of-the-month, “I made it through the door by the skin of my teeth” report. Here too we are trying to mature. 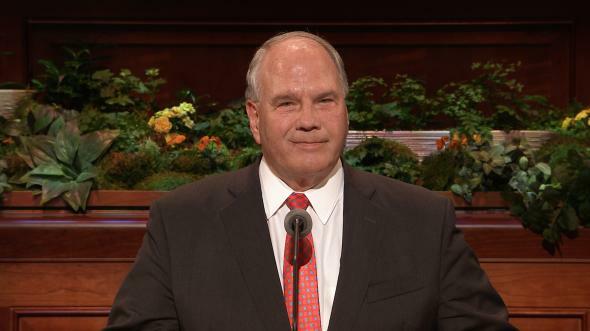 The only report that will be made is the number of interviews leaders had with the ministering companionships in the ward that quarter. Simple as that sounds, my friends, those interviews are absolutely crucial. Without that information the bishop will have no way to receive the information he needs regarding the spiritual and temporal conditions of his people. 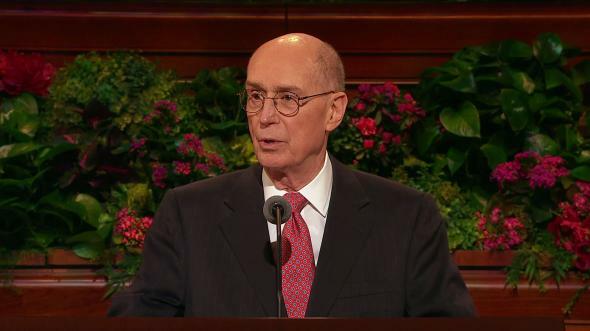 Remember: ministering brethren represent the bishopric and elders quorum presidency; they don’t replace them. 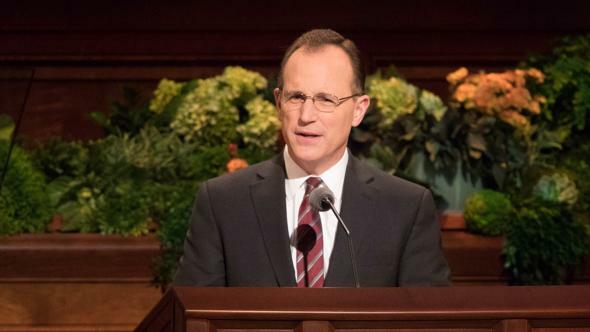 The keys of a bishop and a quorum president go far beyond this ministering concept. 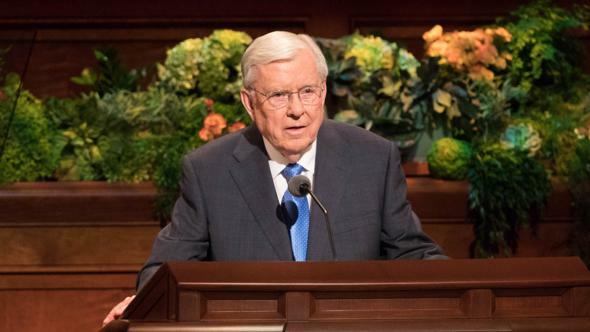 Because this report is different from anything you have submitted in the past, let me stress that we at Church headquarters don’t need to know how or where or when you make contact with your people; we just need to know and care that you do make it and that you bless them in every way you can. 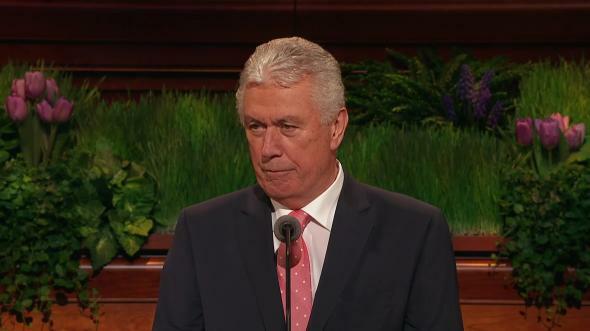 Brothers and sisters, we have a heaven-sent opportunity as an entire Church to demonstrate “pure religion … undefiled before God”8—“to bear one another’s burdens, that they may be light” and to “comfort those that stand in need of comfort,”9 to minister to the widows and the fatherless, the married and the single, the strong and the distraught, the downtrodden and the robust, the happy and the sad—in short, all of us, every one of us, because we all need to feel the warm hand of friendship and hear the firm declaration of faith. 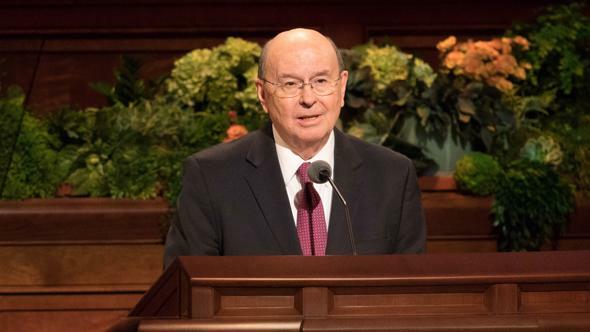 However, I warn you, a new name, new flexibility, and fewer reports won’t make an ounce of difference in our service unless we see this as an invitation to care for one another in a bold, new, holier way, as President Nelson has just said. As we lift our spiritual eyes toward living the law of love more universally, we pay tribute to the generations who have served that way for years. Let me note a recent example of such devotion in hopes that legions more will grasp the Lord’s commandment to “be with and strengthen”10 our brothers and sisters. Last January 14, a Sunday, just a little after 5:00 p.m., my young friends Brett and Kristin Hamblin were chatting at their home in Tempe, Arizona, after Brett’s day serving in the bishopric and Kristin’s busy day caring for their five children. 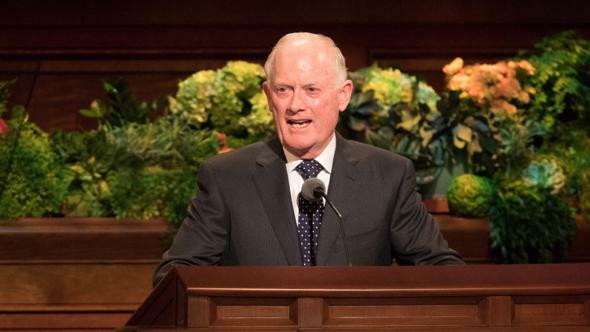 In fewer minutes than Brett could count, his priesthood colleague was standing at his side, helping with the children and then driving Brother Hamblin to the hospital behind the ambulance carrying his wife. There, less than 40 minutes after she had first closed her eyes, the physicians pronounced Kristin dead. As Brett sobbed, Edwin simply held him in his arms and cried with him—for a long, long time. Then, leaving Brett to grieve with other family members who had gathered, Edwin drove to the bishop’s home to tell him what had just transpired. A marvelous bishop started immediately for the hospital while Edwin drove on to the Hamblins’ home. There he and his wife, Charlotte, who had also come running, played with the five now-motherless Hamblin children, ages 12 down to 3. They fed them an evening meal, held an impromptu musical recital, and helped get them ready for bed. Brothers and sisters, I join with you in saluting every block teacher and ward teacher and home teacher and visiting teacher who has loved and served so faithfully throughout our history. 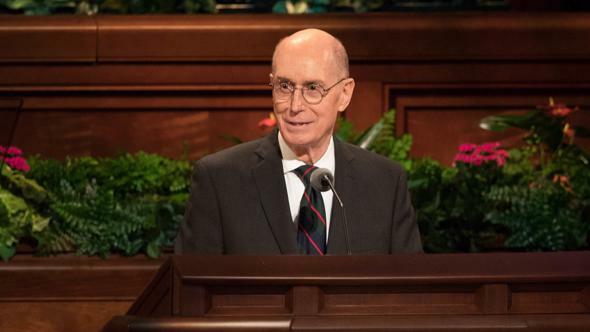 Our prayer today is that every man and woman—and our older young men and young women—will leave this general conference more deeply committed to heartfelt care for one another, motivated only by the pure love of Christ to do so. In spite of what we all feel are our limitations and inadequacies—and we all have challenges—nevertheless, may we labor side by side with the Lord of the vineyard,13 giving the God and Father of us all a helping hand with His staggering task of answering prayers, providing comfort, drying tears, and strengthening feeble knees.14 If we will do that, we will be more like the true disciples of Christ we are meant to be. On this Easter Sunday, may we love one another as He has loved us,15 I pray in the name of Jesus Christ, amen. See Ralph Waldo Emerson, The Conduct of Life (1860), 268. 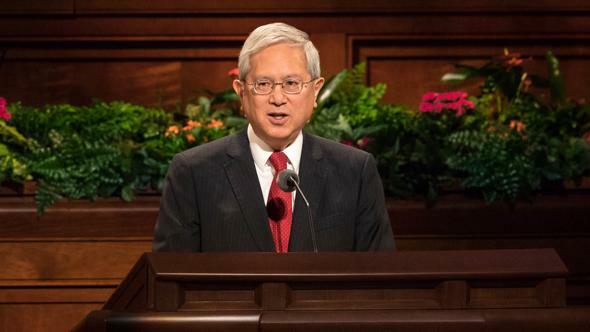 See “Keep in Touch with Her Anytime, Anywhere, Any Way,” Ensign or Liahona, Jan. 2018, 7. Mosiah 23:18; see also Doctrine and Covenants 20:53. 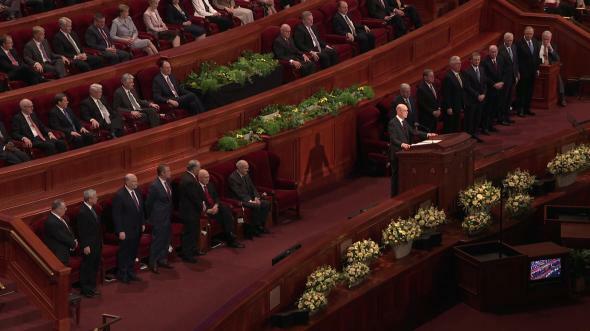 See “Watching Over and Strengthening Members,” First Presidency letter, Dec. 10, 2001. Brett Hamblin, personal correspondence, Feb. 2018. Edwin Potter, personal correspondence, Feb. 2018.